If you've been wondering about recyclable projector lamps, you may be pleased to discover that with the right resources, all projector lamps can be recycled a well as many parts of the projector reused. 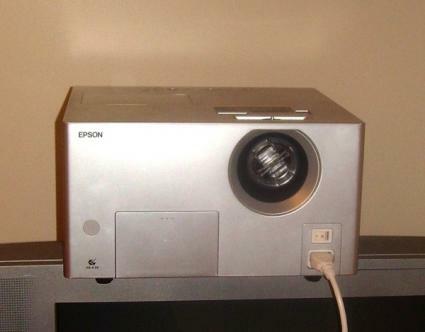 Whether the projector is meant to be used with a computer, DVD player or meant to be used on its own, it requires a powerful lamp to project images. These lamps are large, expensive and should not simply be thrown away when they burn out. A projector lamp is not like a light bulb that is merely made up of a filament incased in glass. Projector lamps are, in fact, made up of a complicated housing and containment system that includes mercury, a heavy metal that could contaminate the environment. Additionally, the cage or case that encloses the lamp is not in any way biodegradable. Throwing away a projector lamp means that the cage will sit in a landfill for years before rust creates cracks that allow the mercury to escape and poisoning the nearby ground. How Is the Projector Lamp Recycled? Projector lamps are recycled by companies which specialize in products such as computers, televisions and other items that contain tubes filled with chemicals. In most cases, the cage, housing and wires are all reusable, meaning that they are frequently put to use in a new projector lamp. The mercury is processed and contained to keep it from contaminating the surrounding areas and any glass or plastic parts are also recycled accordingly. The result is no waste for the landfill, no contamination from heavy metals or chemicals, no environmental impact, and lower manufacturing costs by reusing the parts. All projectors contain recyclable projector lamps, meaning that no matter what type of projector you have in your home, school or office, when the bulb finally burns out it can be recycled. The best way is to reuse the casings; however, most city recycling centers are not equipped to handle these products, so you'll need to send the lamp to a company that specializes in recycling these products. Relampit: This is a free service that reuses and recycles projector lamps of all kinds. They have an easy online form that you can complete that allows you to quickly package and ship your spent lamp. Lamp Recycle: This company represents and recycles all types of projector lamps regardless of make or model. EPA: The EPA has a division dedicated solely to recycling projector lamps and other items that contain mercury. Recyclable projector lamps are an important factor to keep in mind if you use any type of projector. When cared for properly, a projector lamp can last for years and should always be discarded properly. Check with your local recycling program, or contact one of the above agencies the next time you need to replace the lamp to make sure you dispose of the lamp the right way.